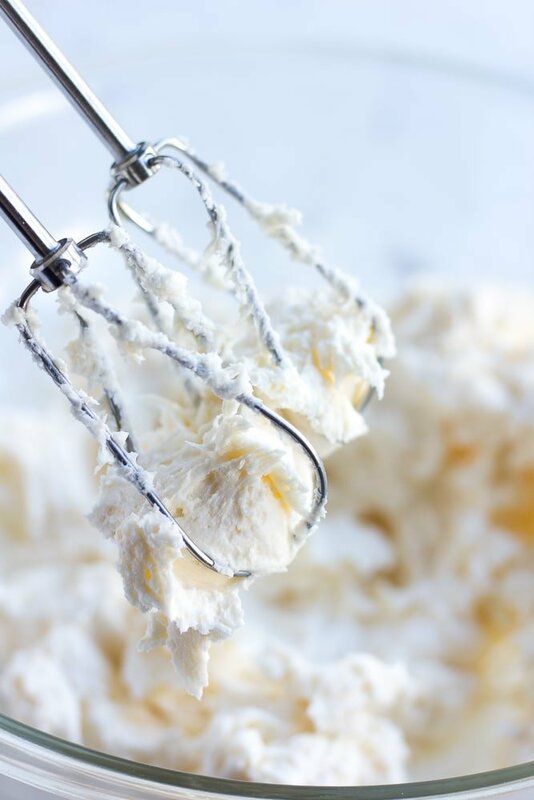 Learn how to make the best Vanilla Vegan Frosting with only 4 ingredients! Use it to top your favorite cake or cupcake recipe. No one will guess it’s dairy free! 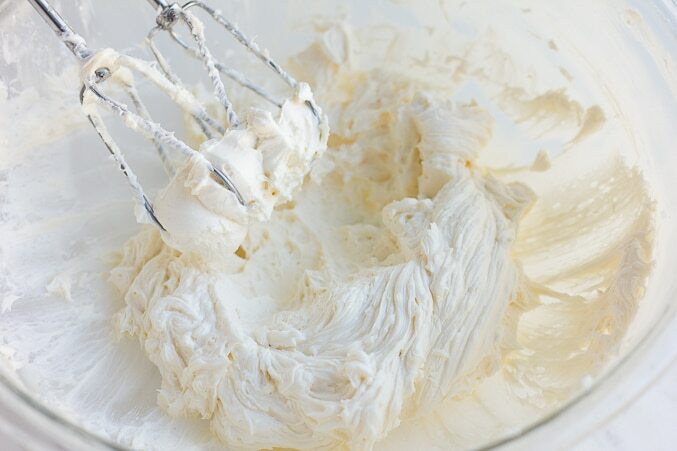 I’m going to show you how to make the best Vanilla Vegan Frosting recipe, ever! Going vegan doesn’t mean you have to settle for second rate and unsatisfactory tasting desserts. In fact, I enjoy BETTER tasting cakes, cookies and other desserts than I ever have before. And you can, too! You can impress your kids, co-workers and friends with delicious vegan desserts. My goal in creating vegan dessert recipes is to make them so incredibly yummy that no one would ever guess they are vegan. Let’s do this! 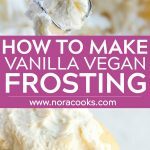 How do you make vanilla vegan frosting? Start with 2 sticks of earth balance vegan buttery sticks. You can use the tub kind as well, just try to measure out 1 cup the best you can (it is easiest to measure 16 tablespoons out of the tub). The vegan butter must be softened to room temperature, but NOT melted at all. If they are melted, you will have a runny mess on your hands, and the frosting will not turn out. Beat the vegan butter with a handheld mixer, until creamy. Add in 1/2 cup of powdered sugar at a time, until it’s all completely mixed in. Next, drizzle in the non-dairy milk, 1 tablespoon at a time, and the vanilla and beat on high for about 30 seconds until light and fluffy. 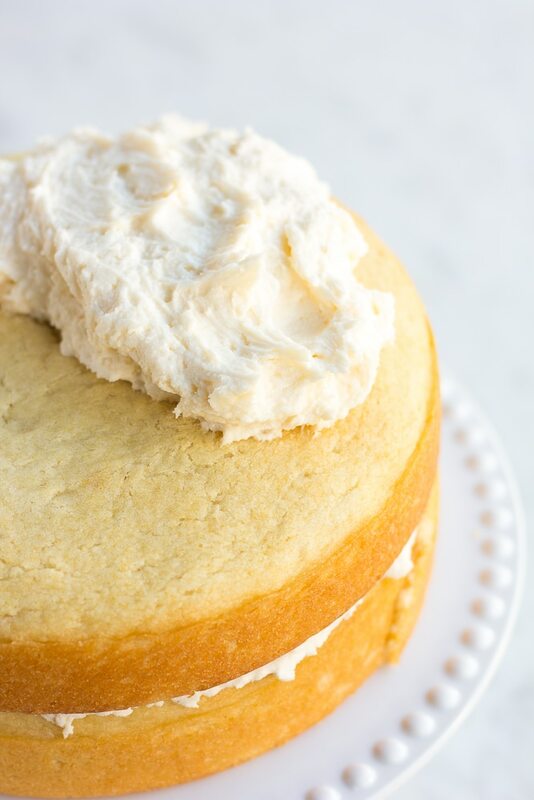 It’s hard to go wrong with this vanilla vegan frosting! If it seems to runny (maybe you added a little too much milk), simply add more powdered sugar. If it’s too thick, add a little more milk until the desired consistency is reached. That’s it! You’re ready to frost your cake or cupcakes. It’s so good with my Vegan Vanilla Cake! How long can I store Vanilla Vegan Frosting? You can make this in advance and store it in the refrigerator for 1-2 weeks. It will firm up a bit when cold, so let it warm a little at room temperature before frosting. Can Vanilla Vegan Frosting be left out at room temperature? Yes, it will hold up well at room temperature when frosted on a cake or cupcakes. 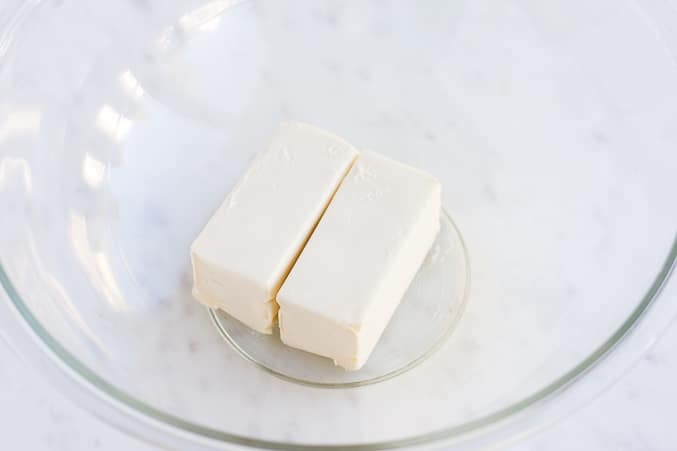 The vegan butter and milk are stabilized by the amount of sugar. It also doesn’t melt quickly. 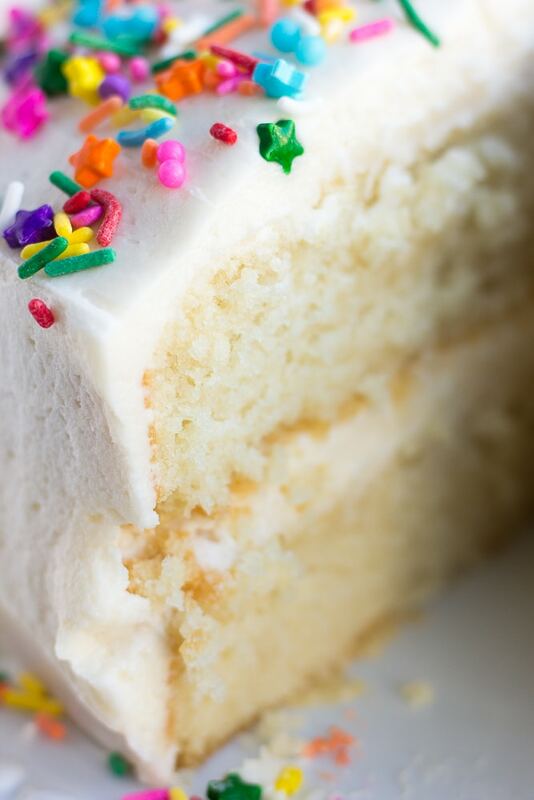 You could leave a frosted cake or cupcakes at room temperature for 2-3 days. In the fridge, they will keep for 1-2 weeks. 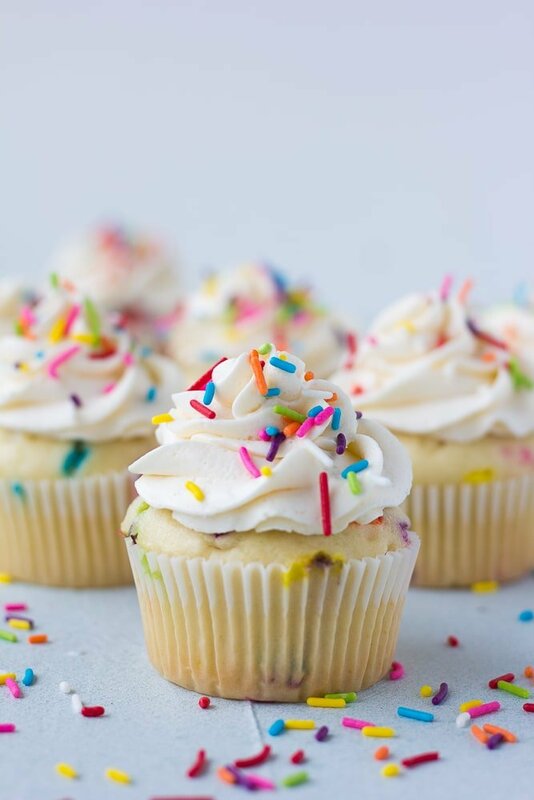 What goes well with Vanilla Vegan Frosting? I use it to top these Vegan Funfetti Cupcakes. Use it instead of the chocolate frosting for my beloved Vegan Chocolate Cake, or make chocolate cupcakes. It goes perfect with Vegan Vanilla Cake. *This recipe makes enough to frost an 8 inch double layer cake, or 12 cupcakes generously. 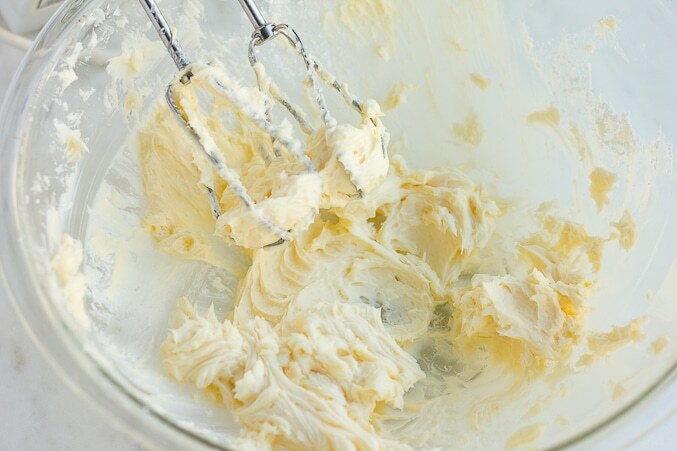 Learn how to make the best Vanilla Vegan Frosting with only 4 ingredients! Use it to top your favorite cake or cupcake recipe. No one will guess it's dairy free! Beat the vegan butter with an electric mixer until creamy. Gradually add the powdered sugar, about 1/2 cup at a time, until all the powdered sugar is mixed in. With the mixer on low-medium speed, add the non-dairy milk, 1 tablespoon at a time. Add the vanilla as well, and increase the speed to high. Beat for about 30 seconds, until light and fluffy. If the frosting seems too thick, you can add more non-dairy milk, 1 tablespoon at a time. 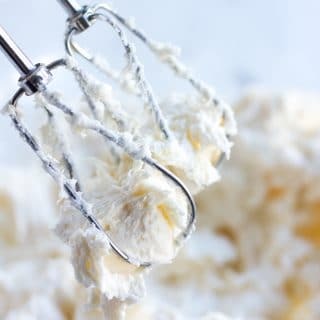 If the frosting is too thin and runny, simply add more powdered sugar, 1/2 cup at a time until the desired consistency is reached. Use it to frost Funfetti Cupcakes, Chocolate Cake (or cupcakes) or Vegan Vanilla Cake. You can store the frosting in the refrigerator for 1-2 weeks. It will firm up when it's cold, so let it soften at room temperature a bit before frosting a cake or cupcakes with it. The vegan butter MUST be softened, but not melted. If it's melted at all, the frosting won't turn out and will be too runny. For soy free, use the soy free earth balance buttery sticks. For nut free, use soy, rice or coconut milk. To ensure the sugar is vegan, buy organic powdered sugar or make your own in a high powered blender.